We're back with more episodes to add to the "Quick Buzz" series. 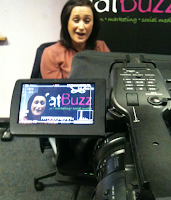 "Quick Buzz" is a series of 30-60 second videos clips by fatBuzz bringing you news, events and updates from the world of Design, Marketing and Social Media. In the first video we have Kirsty talking about how to deal with negative comments online. We often see that when companies have a negative comment posted on one of their social media channels, their first reaction is to delete it. This is the wrong thing to do, so take a few minutes to listen to Kirsty's wise words on how this situation should be approached. 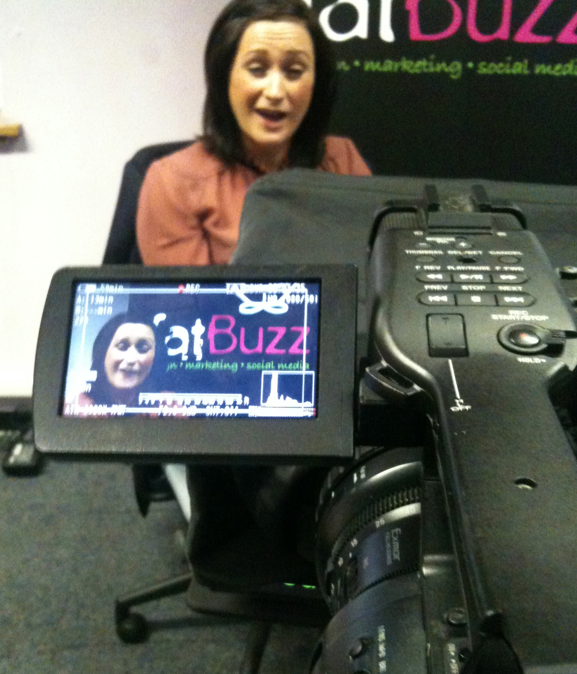 We had extra fun filming this first video as Kirsty was the first member of the team to test our new Auto Cue ! Here we have Malcolm making his first appearance in the "Quick Buzz" series, where he talks about how important it is to use the right embed code, when embedding video on to your website. But also not to forget to upload your video content to as many relevant channels as possible to raise awareness of your brand. Finally to round off our latest "Quick Buzz" update, Gordon talks about how important it is for your business to be using QR Codes. But sometimes just using them, simply isn't enough, you want to make your code stand out from the rest, you want people to have a reason to scan your code instead of your competitor's. You can do this by customising your QR code to match your company's branding.